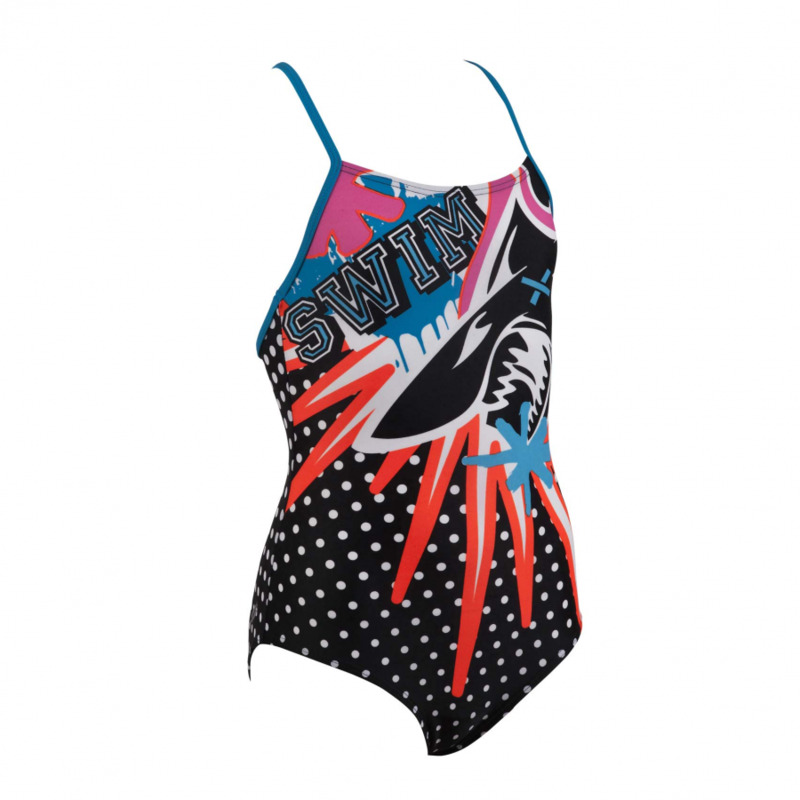 Arena Ocean junior girls black with white polka dots and shark cartoon front swim costume.SWIM lettering on front. 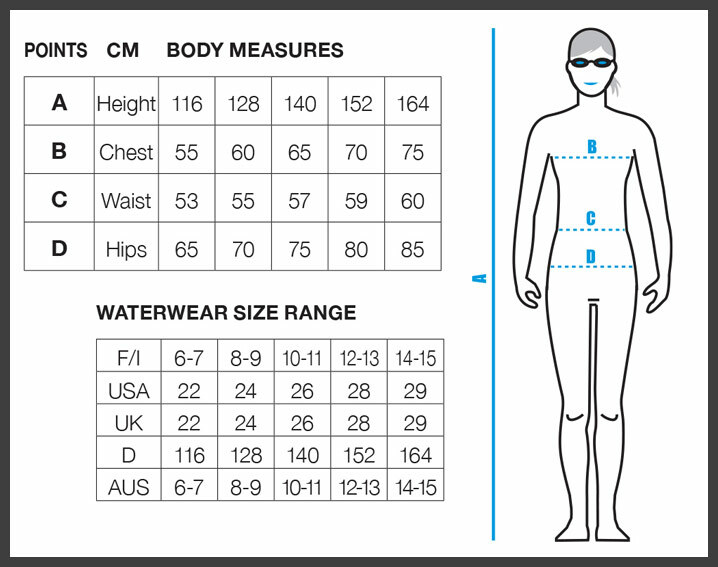 Manufactured from Waterfeel Plus for a longer lasting fit, comfort and shape retention. Chlorine resistant fabric for extra life. 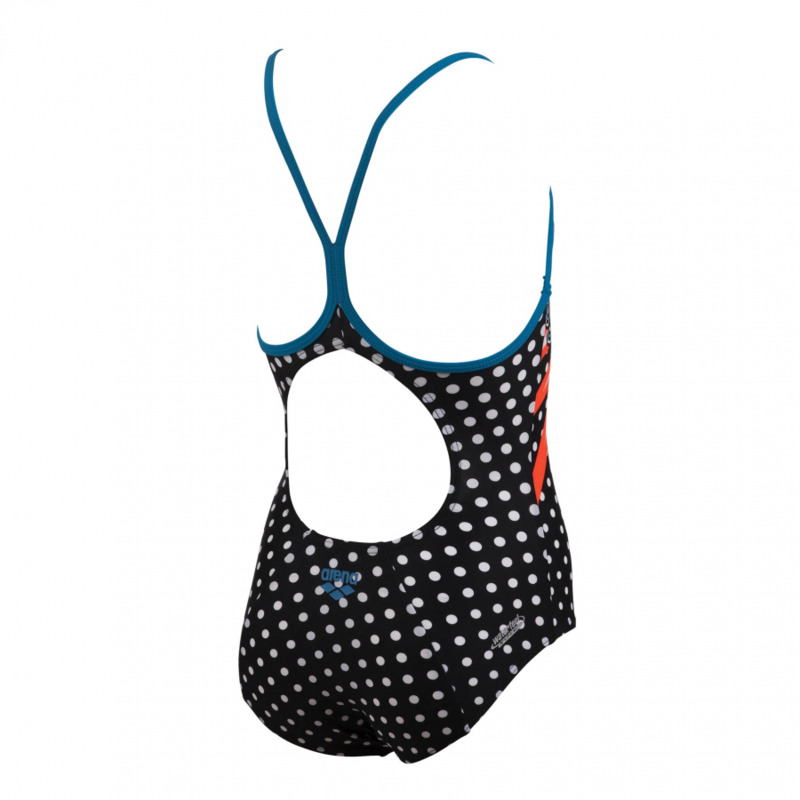 80% polyamide 20% elastine. Light drop rear strap detail.